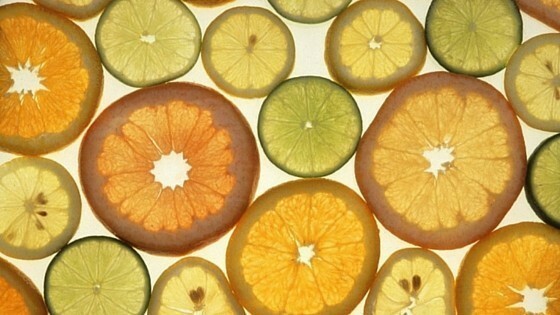 Surprising Benefits of Vitamin C • Run Hard. Rest Well. This post was shared on July 18, 2013. It’s a short, little gem worth revisiting – and considering. Because of the Psychology Today article (below), Vitamin C landed on my “Thank You, Jesus” list. It’s made a difference in my life. The rigors of life create a sustained release of cortisol for many people today. I am a prime example. The price tag is stiff. This round, cortisol is playing a role in attacking my thyroid. The medical bills are high. The ramifications for my well-being is a bit unsettling. In short bursts, cortisol is wonderful. It prepares us to function from a place of strength and alertness. In chronic doses, the damage is real and obvious. Irritability, illness, weight gain, depression and sleepless nights become the norm. Can you relate? This week I stumbled across some potentially enlightening information about vitamin C. It appears that in larger doses, this water-soluble vitamin has the ability to reduce the body’s inclination to send out too much cortisol. For me, that’s great news. I’ve begun taking 1,000 mg at dinner and 1,000 mg at breakfast. So far, I like what I see. I like what I feel. It makes a difference. Well, little lady, I will have to try VitaminC and add it to the lengthening list of meds I take. I won’t go today. I take my granddaughter in for an ultra sound, but maybe tomorrow. My last trip to the store left me breathless after picking up only two things. I sure don’t know the answer. But I do know the Answer Man. Betty, We DO know the Answer Man. Praying the Lord has something for you in this! It’s been a tremendous gift in my life.